Does The Alternative Approach Of The Cycle Tone Exercise Bike Provide A Better Workout? 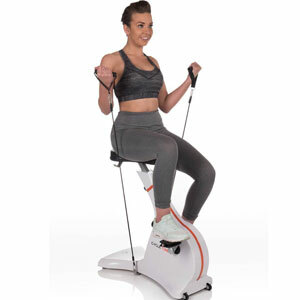 It is clear straight away from the sales photos for the Cycle Tone Exercise Bike that this is not your typical gym bike. The most important difference here is the lack of any handlebars to hold onto. In fact, if it wasn’t for the additional photos of the machine in use, some newcomers may wonder what they are meant to do. Still, the features list of this bike machine is encouraging with talk of a full body workout, adjustable settings, a comfortable seat and strong magnetic resistance. Is this alternative approach really able to offer the workout that users are after?